About two years ago we finished the installation of one of the previous blog topics: this set of sculptures in the lobby of Embassy Suites at LAX. These sculptures (they are spot lit from below instead of lit from within) were designed to bring some color and light to this very large, very tall atrium. Although the space is not too high to hang them from the ceiling, due to earthquake considerations, it was determined that they wold be most secure if mounted on these metal poles. The atrium of the hotel had undergone a huge renovation during the intervening years. And, although the sculptures were often draped the dust had accumulated through the renovating and redecorating process. This type of cleaning isn’t often necessary, but after such a messy and complex renovation it is often a good idea to finish the redecorating process with a deep clean of the work. And so, with the cleaning and re-hang already on the table we began talking about any changes that the hotel might wish to make. The atrium had been changed over from a warm pale gold tone to be subtle ecru with warm dark wood and blue accents. The colors of the glass still functioned beautifully in place. In the morning they glow like little suns and in the evening, when the glass ceiling above is dark and the sculptures are lit from below, they create a warm, cozy feeling inside the giant space of the atrium. But, this was an ideal opportunity to add just that kind of touch that finishes a space. In consultation with the designers and decorators, investors and management we chose to integrate a small amount of blue into the sculptures. To do this we worked in two colors of blue. These blues, when viewed in various lighting conditions, blend the blues of the new accent colors thoroughly into the glass. After taking all of the glass down, we cleaned each piece with glass cleaner and soft cloths and then began to re-hang the chandelier. As we re-hung the pieces we intermixed the two blue tones and the new blue plates in proportion with the red and yellow and orange that comprised the originals. Overall the effect is striking. At night, when the chandelier is lit from below, the effect is much more dramatic than before. And during the day the bright spots of blue definitely catch your eye and connect the glass more closely to the accents scattered throughout the great atrium space. We’re recently begun tagging posts on a new app called Fyuse. This app allows us to show you a great 3-dimensional view of a chandelier. It’s free and a whole lot of fun. If you download it, just search for the hashtag #bellemeadhotglass. Hope to see you there! The Sealife series of chandeliers and sculptures began in 2014 and has been a constant source of interest and discovery for the team at Belle Mead Hot Glass. Because we are evoking a maritime landscape each time there is tremendous variation between the installations. The first Sealife piece was composed of many different very deep greens with accents in tones of blue and pink and. It had a very deep sea feel to it. Very large and hanging very high this first chandelier has very large sculptural forms meant to be seen form a distance. Later on, we began to add complimentary pieces throughout the home and began to add smaller and more highly detailed pieces to each chandelier in order to set a scene at eye level. One of the fascinating things about this series is the way the end reflects the ocean as it exists in the imagination of the client. Deep sea underwater greens and bright sun drenched tropical pastels are equally “ocean” and it is an endless process of discovery to explore what visuals “sealife” brings to mind to each new client. Bob and the staff here work with the clients to develop their palette for the installation and then we start to bring it to life. Recently we installed a new sealife chandelier on the intercoastal waterway in Florida. The clients were building their dream home and of course, wanted to include the flora and fauna of the ocean that most spoke to them. Sometimes Art is a very public statement of an idea and sometimes it is more personal. The Sealife series has led to some very personal art as clients have come to us with their favorite memories of nature and holidays and asked us to incorporate them into the chandelier. have some knowledge of a very famous horse by that name and we’ve heard songs and stories about eating “hardtack” but Sea Biscuits as an aquatic creature? This lead to a little online research which then led to enormous amounts of time online watching videos that ranged from youtube clips of seashell finds to a binge of classic Cousteau watching. 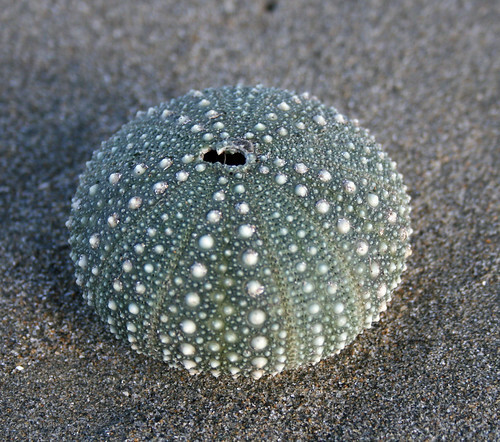 Sea Biscuits are puffy Sand Dollars and they are both Sea Urchins! And that is part of whats is so entrancing about this series…it’s not just the little details, it’s the bigger picture and the little details blending in and out and leading you to think of things you never did before. We all took off to visit the Corning Museum of Glass last Sunday and watched Lino Tagliapietra create a few amazing pieces with his talented team. It is always a pleasure to see a master at work and the team he has assembled is fantastic in their own right. Lino has always been a natural teacher. There was never a skill or process that was off-limits. He had a passion for sharing information and combined with his warm personality his workshops fostered my love of glass. One of the most important things I learned from Lino was his method of using these 3 things; the form of the vessel, the color and the technique. He taught me to combine any two of these elements and leave one out. This way the piece never becomes too artificial… It was great to see him working on new forms years later and I came away inspired for some new projects myself. As tight as our current timeline is, we did take a little time this week for a few Father’s Day commissions. We have done a few very nice sets of rocks and highball glasses, some desk ornaments and we are about to finish another glass fire pit. It will look similar to the one below and will install on a deck where a real fire might be a very bad idea. We worked with the finish on the hardware in the rest of the home to build a canopy for this new piece in our metal shop. It is important that all of the elements of a room tie together visually. And that is the advantage we have, in making everything here we are able to create each aspect of a design in order to fit best in the space. The canopy we are using here is a grained steel surface that will be easy to care for and attractive in the space. In our metal shop we can create a huge variety of finishes to evoke whatever feel is most appropriate for the space…. In the end we had a beautiful and functional lighting element that adds lots of light while still functioning as a design element. Created especially for the space with the full input of the homeowner, we’re sure they’ll enjoy it for years to come. We certainly enjoyed the process of making it. Orangerie? can you say that in a sentence? I mentioned in an earlier post about how I was inspired to take up glassblowing because of my experience watching a glassblower in Venice make a flower. And, I’ve told you about how I went to Venice and watched the amazing floral chandeliers come to life there.This post is about how a flower chandelier I made quite a few years ago and about making a set of 4 sconces to complement it and it’s current installation in the owners new home. Owners often move their chandeliers from one home to another. But this move would add four sconces to the room where the chandelier would be displayed. The owners gave us a very specific commission. Working together the husband and wife team came up with a sketch and a good description. They called for a bouquet of flowers wrapped in deep blue and finished in Satin brass. Although their Chandelier has only yellow tulips they wanted to use the bouquet to introduce more of our flowers and colors into the room. This is exactly the kind of creative work that we love to develop and so, several weeks ago we went to work honing the design. Finding exactly the right shape for the blue base of the sconce was an interesting process as we worked on creating the twisted tail at the base of the cone and creating enough and yet not too much room for all the lighting inside. The brass also took some experimentation. We do almost all of the metal work we need right here in the shop. But we don’t work with brass very often and we wanted the finish to co-ordinate perfectly with the fixtures that were in the home already. Eventually, everything was just where it should be with the sconces and the long-suffering owners were finally ready for installation. They were building their dream home and had been through a long and complicated construction process. Everyone was finally ready for the installation. We would be hanging the existing chandelier and the four sconces all in the same day. The house was almost finished, but just barely. Electricians were putting on finishing touches and painters and plaster finishers were carefully inspecting. Up until this point, we had not seen any images of the space. Although we had color samples and had spoken at length regarding the feel of the space and the elements that would occupy it that first sight was breath-taking. Why is it so hot, it’s April! The next day after the Acuity team had gone, It was time to get to work. We had proven we could do the Job. All the production and assembly issues had been worked out. We had one sphere nearly completed and now it was all about organization, logistics and hard work. I had calculated about 12,000 pieces of glass and 85,000 welds and pieces of metal to be cut for all of the seven sisters. and if there wasn’t enough on our plates, we had a film crew due to arrive from PBS, MPTV (Milwaukee public television). It was the 20th of April and it was getting hot, like mid to high 80’s and by the end of the week it was going to be in the 90’s. the weather never stopped us from working, but when the temp got up into the 90’s the hot shop typically would go to around 100-125. and it would get pretty unbearable. the key was to drink lots of water. and I would use a trick I learned from my days as a golfer. If you keep a towel in a cooler full of ice, about every 30 minutes or so you could take the towel and wring it out, put it over your head for about 30 seconds and breathe in that cold air. when done just put the towel back in the cooler and you were good to go for another 30 minutes. It worked unbelievably well. So we put ourselves on a schedule. I simply figured the number of work days between the installation date and our start date and we had our work schedule pretty much mapped out If we made 100 pieces a day we would have enough glass for our August Installation. Luckily the 3 larger spheres were due in late August. The 4 smaller ones were due in September, which gave us a break and a chance to clear out our shop before beginning the second phase. Even with a 5,000 sq. ft. building it wasn’t enough space to handle all seven spheres. The day the film crew arrived it was 95 degrees. and I was in no mood to be slowed down by anyone. when it’s that hot out the only thing you think about in the morning is when can I stop. so even before we began they arrived. We had a short meeting about how things would go and then we started. The only problem was I had never been filmed professionally before and was quite nervous about the process and so I asked Lois our producer if she had any pointers for budding film stars and she said “just act naturally” and you’ll be great. and so I did just that and before long it was like they weren’t even there. by day three we had all gone out to dinner a couple of times and we’re having a blast. It wasn’t until a few months later when I saw some edited clips on a high def. monitor that I realized why so much work, effort and resources goes into producing even a 1/2 hour film. Seeing myself on that screen was really cool. The plan was to load the 60 Foot air ride FedEx tractor trailer. with the first three metal spheres our tools welder, misc. equipment and the 6000 pieces of red, yellow and orange glass. get on a plane the next morning and the truck would be waiting for us when we got there. So far so good we arrived 15 minutes before the trucks arrival. the only problem was It had also been there a few hours earlier and we were missing a crate. This was a problem because everything we shipped we needed to do the installation. With a lot of fussing and me nearly in panic mode we figured out that the missing crate was all our tools and the welding machine. So with about an hour of calls later we we’re able to buy or rent everything we needed. Later that day we found out what happened. the shipment was refused because no one was expecting it. It was returned to the terminal, unloaded and somewhere along the missing crate was separated never to be found again. fortunately we were able to file a claim with FedEx and we we’re paid for our missing equipment. Once we had everything we needed. we had to thing about protecting the floor. which was made of 2 x 2 foot squares of marble. and because we we’re one of the last crews to arrive it was our job to see that nothing was damaged. we protected the floor with 4 x 8 x 1/4 inch sheets of Masonite two layers thick. next we brought all the metal sphere parts up through the freight elevator. then the glass was brought in. fortunately we had a system of labeling the boxes so we knew which box went with which sphere. we had 5 different lengths. 6 diameters and 3 colors. and each panel had a specific arrangement and if something got used up be While Chris began welding the sphere together the rest of us started sorting the glass. once that was done we were able to organize the glass by each of the twenty triangular sections that made up the sphere. It all went like clockwork, we completely assembled all 3 of the 15 foot sisters. including cleanup in just 5 days. we were all very proud. The group of six executives from Acuity was due to arrive in the early morning. I had rented a Lincoln Navigator to shuttle us all around in, figuring that if I had come this far I should go all in. And so, nervous but excited and both drooling and lisping I put on a blazer (a twice yearly event) and headed to the Trenton Airport. They arrived right on time in the company jet (a Gulf 4, I think) and we headed to over to my very spacious new rental. We spent much of the half-hour ride out to my property talking over the construction project as a whole. I was asked about my progress and I had no sooner started to fill them in than we were there. Because of the position of the house in relation to where we parked, they could not see the sphere suspended from in the two ash trees at first. We walked about a fifty feet towards the main house and only once we passed that corner did the 15′ sphere come into view. As excited as they were about the three 15′ spheres for the main hall, Ben had a bigger vision. He wanted to add four slightly smaller spheres, two in each the East and the West wings. Now, in addition to the spheres of red, yellow and orange, I had assembled several panels of other colors, primarily in blues and greens. It was important to be sure about the colors before moving forward and these panels would give the executives a chance to see the glass up close and in a grouping of pieces. Ben walked right over to a panel set up in an equal mix of Emerald, Cobalt, Amethyst and Aqua and it was decided right then and there that we would do four more 10′ spheres in colors exactly as I had them laid out. I’m not afraid of heights, I’m not afraid of heights, I’m not, I’m not, I’m not afraid of heights!!! A couple of days before the spheres big debut, I had the bright idea of chartering a helicopter and doing a little aerial photography. I popped into the Princeton airport and scheduled a flight. My pilot had done this kind of flying for real estate photography many times before. When I told him what I wanted to do he said “no problem” and “have you done this before?” Thinking to myself “how hard cans this be” I replied “of course”. Now, as I buckled into the tiniest helicopter I had ever seen, the pilot walked around and removed my door! “What are you doing?” I exclaimed, which clearly revealed that I had not, in fact, done this before. He explained that in order to get any decent shots I would have to trust the buckles and lean out of the door to shoot. As, I began to turn alternating shades of green and white my pilot said ‘Ready?” and off we went. The trip to my home was only 3-4 miles as the crow flies but when you are nervous and nauseous that can feel like a long way. I asked the pilot if it was normal for these things to shake so much, it felt as if the whole machine would just vibrate apart well before we got anywhere. But as we climbed higher and began to move forward a little faster I started to calm down. It actually became exciting! In about ten minutes we had the sphere in view and I watched as we got closer and closer and it grew bigger and bigger. To be hanging out of this little bubble in the sky and clicking away was truly an adventure I will never forget. On the way back to the Trenton Airport Ben said we should name the installation. At this point I don’t remember who came up with the exact name But, I remember saying Seven Sisters and Ben saying Seven Sisters of Acuity and that was how it got its name. Dropping Ben and his team off at the airport I felt exhilarated. Here I was, one day making small gift items and trying to grow my glass business and the next day in a situation that made me feel like the King of the World! Life was Good. After all the design particulars were sorted out and the size and shape and general arrangement of the red, yellow and orange pieces were chosen, we were ready to move forward. Now it would be my job to figure out how to make everything work. My biggest issue would be weight. Each 15 foot sphere had to be less than 5,000 lbs. I made a plan for each sphere to have an internal metal structure that would be 9 foot in diameter. Individual glass pieces would attach to the outer surface and vary between 24″ and 36″ in length. The final sphere would be 9 feet of internal metal framework and then 3 feet on each side of blown glass pieces. This would give me the final dimensions of 15 feet. The internal sphere would be built like a geodesic dome, with twenty individual triangular, curved panels that would bolt together onsite to create the sphere. The sphere design had come to us through the work of a local engineer named Olaf Pederson. The engineering was worth every penny, instead of attempting a design and hoping it would work, Olaf ran the numbers and proved it. And, as it turned out the design would have withstood an increase in weights by a factor of eight before there was any deflection. Through much trial and error we had determined that each individual panel would hold 100 individual pieces of glass of varying lengths and widths. This would create the fullness on the surface that we were looking for. So each panel was fitted with 100 pins of steel welded in place to hold the glass in position. Again I did the math: 20 Panels x 100 pieces of glass = 2,000 pieces of glass per sphere. Up until this point all of the larger pieces of glass I had made had each weighed upwards of 5 pounds. The metal spheres were weighing in at 800 lbs. That weight plus 2000 pieces of glass weighing 5 lbs each would have left me with a total weight of 10,800 lbs per sphere! This was more than twice as heavy as the limit set by the engineers for the building. Even if I thinned the glass mounted to each sphere by 50% -it would still be too heavy. This was so depressing; I had gotten the job of a lifetime and I couldn’t figure out how to pull it off. After losing a couple of nights sleep from worry I finally slept a solid eight hours from sheer exhaustion. Waking up I finally felt refreshed and rested and I determined to see what I could do to get the weight of the glass down. Slowly but surely, over the next week or so and after a few hundred pieces of glass I began to make 3 foot long pieces of glass that weighed less than 2 pounds! We kept practicing and they began to look better and better until we had a form I found really pleasing. Now the 2,000 glass pieces and the metal frame came in at a svelte 4,800 lbs! It was truly a great day for me and once again- no sleep! But, this time it was just that I was too excited. The next day, I began another set of calculations… We needed a total of 6,000 pieces of glass for all three spheres. We would have to cut and weld 15,000 individual pieces of metal for each of the three spheres. Each piece of glass was going to need to be firmly attached to the sphere. I did not like the idea of tying each piece off to the sphere with wire. And, although I felt considerable pressure of time, I believed it would be best to take a moment and come up with an elegant solution. While we moved other areas of the project forward I kept trying new ideas Thomas Edison style. After many prototypes of wire and forms I finally found an elegant solution. I made a little clip that reminds me of a grasshoppers leg. With a loop at each end of an L shape spring that will hold the glass at one end and the sphere at the other while tensioning the glass up into the sphere. Adding a neoprene washer and a protective polyethylene sleeve to each metal pin we greatly reduced any stress on the glass. And with each piece of glass firmly in place on its own designated pin we ensured that the glass at the bottom of the sphere would not bear the weight of the glass at the top of the sphere. Next we began to puzzle out the different diameters and lengths of glass. It was important to me that at any angle a person would see the glass and not through to the metal sphere. Through trial and error we adjusted a pattern of placing the glass. Because of its shape each of the curved triangular panels has pins that are closer together at the edges and further way as you near the center of the panel. Adjusting the fit using different diameters and lengths of glass we created a layout. Once that was done it was simple work to replicate it over the other panels, creating the uniform appearance I was determined to achieve. One of the things that helped Acuity in their decision to hire me, an unknown, for this project, was my willingness to do a full scale mock-up sphere for their approval. With all of the above questions settled I started to work on that first sphere. This after all, would be when the project was really secured. We got the call sometime in the fall of 2003, I remember it was very warm, perhaps it was still September? I was just coming in from a run after a day’s work in the hotshop. As I walked up the driveway Sheila met me outside and said she’d received a call from someone named Ben Salzmann. He his wife and had been shopping in downtown Madison she had noticed one of the chandeliers in a local gallery. Knowing that her husband was looking for art for his new corporate headquarters, and liking the look of my chandelier she suggested it. Ben contacted us and explaining he was looking for art for the new headquarters he was building in Sheboygan, WI for his company Acuity, he asked for some information on our company. Calls of this nature were fairly typical at the time. There are often many enquiries before it’s decided that a project is the right fit for all parties; and I learned early on not to count my chickens before they were hatched. About a week later Ben called back and said he received the info we sent him and asked if we could propose some ideas for the space if he sent us some 3Dimensionsal renderings. If my memory serves the main part of the building was about 150′ long by about 70′ wide and 65′ high at the peak. The ends of the hall were gigantic glass walls facing East and West allowing the room to flood with morning and evening light. Ben said that he wanted two or three sculptures about 8′ to 10′ feet long by whatever width would work for the space. Although this certainly did have my attention, there still no chickens to count. We worked quickly to produce three sets of renderings which fundamentally were enlargements of smaller works I had done. The first rendering was 3 long tapered chandeliers done in a multi-colored fashion, the second rendering was a somewhat ovoid shape in tones of blue and green and the third was three spheres of varying sizes in a blend of red, yellow and orange. The third rendering was a hit. Ben told us he loved the third rendering with the red, yellow and orange evoking the fiery sun in the windows. The only problem, he felt, was the sizes were all wrong. He wasn’t sure what it was about the sizes that he didn’t like but he said he would like to think about it for a few days. Over the next two weeks I didn’t get much sleep. I paced around wondering what it was exactly that Ben didn’t like about the spheres. Also, how would I tackle a job that, if I landed it would be so much bigger than anything I had ever done before. When the phone finally did ring the answer shocked me. They were too small! That’s right. The spheres were too small; Ben wanted them bigger, and instead of 6′ to 8′ he wanted them 10′ to 11′. Internally, my response was no way. I couldn’t get my head around the 6′ to 8′ size, how was I possibly going to make them bigger? But, after I thought about it for a couple of days and with some encouragement from family and employees, I figured “I can do this”. Often, color is among the first things we talk about when designing a chandelier. Complimentary or contrasting? Opaque or transparent? This time the palette was already set. But studio glass is about so much more than just color. Using just a semi-transparent white and touches of black the chandelier would have to rely solely on the layering of the glass and on the way the light passes through those layers in order to create a sufficiently fascinating statement. Using this opalescent white and building up piece over piece this chandelier creates depth and stunning visual texture through the transfer of light through the glass alone. I think one of the most interesting things about this piece is the way that your eyes keep finding new detail in it. The shadows and reflections cause you to look at the form of the glass and trace the component shapes with your eye without the distraction of color. Because of the transparency and the simplicity of the white on white, all of the intricacies of the form start to reveal themselves. Even after having created and installed so many chandeliers over the years this one causes me to pause and look at how it all fits together and how the light moves through it. Complex and simple, intricate and elegant – I believe this one will draw the eye of many lucky guests for years to come, and sorry no black curtains. This chandelier measures 72″ in height by 38″ in width. The 30 individual plates average 10″ in diameter and the total weight of the chandelier is 250 lbs. It was installed using an Aladdin Light Lift.